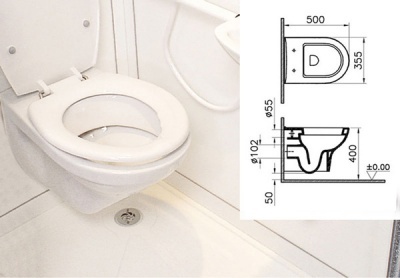 Full cubicle with a WC & bi-folding & single door. 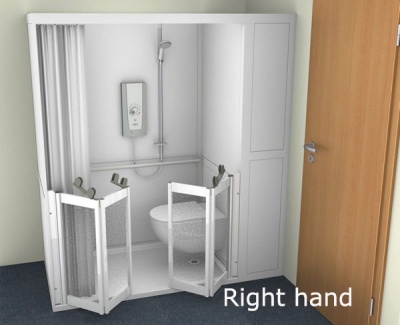 Quick and easy to install and remove without the need for expensive property alterations, (Installation usually within 2 hours). 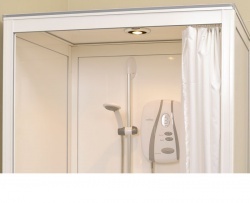 A cost effective, short term or semi permanent alternative to a traditional bathroom adaptation. 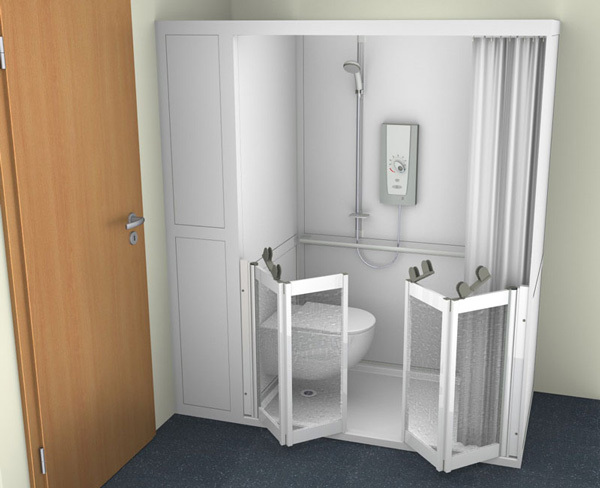 Provides an ensuite facility practically anywhere in the home suitable for use by all the family. Easy to get in to, choose from level access, 40mm high or up to 110mm high to suit impenetrable floors. Roof available, to which an optional light and fan can be installed. 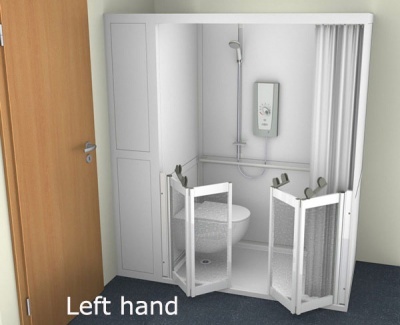 Half height shower doors for when assisted bathing is required. Glazed in durable, smooth Polypropylene and PET which are safe and easy to clean.